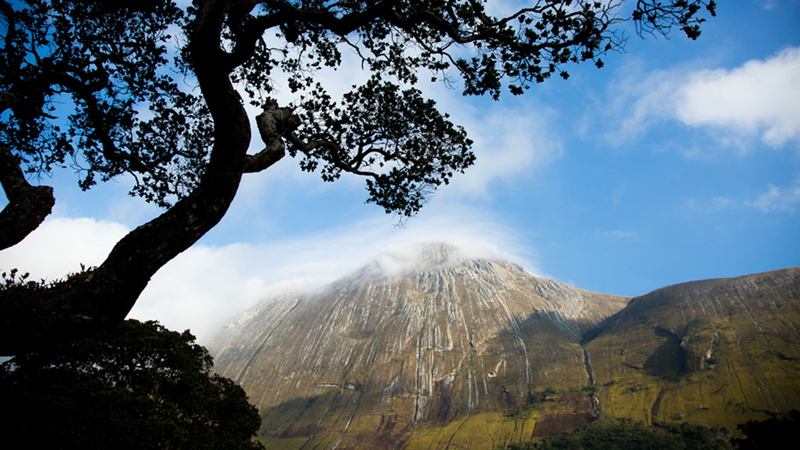 Mount Namuli is unlikely to be notched on any mountaineer’s bedpost. As mountains go, it isn’t extremely high or steep. The 2,419-metre granite monolith in northern Mozambique can’t even boast an iconic horizon line like Argentina’s Fitz Roy or Switzerland’s Matterhorn. If anything it calls to mind an ancient fortress looming above the surrounding rainforest and grassland, its lopsided summit often obscured by clouds. Kate Rutherford leading on vegetation-choked Mt. Namuli with Majka Burhardt below. ROBERT FROST PHOTO. Until recently, Namuli was known mainly among biologists as one of 35 Biodiversity Hotspots identified worldwide by Conservation International. The Hotspot is a concept defined by British biologist Norman Myers in the 1980s as a place of extraordinary species concentration—including large numbers of endemics—also threatened by human activity. Namuli is unique even in this rarified company. That’s because the massif comprises an inselberg (from the German for island + mountain): an erosion-resistant geological relic older than the surrounding landscape, and on which flora and fauna evolve in relative isolation. In 2012, an international joint initiative known as the Critical Ecosystem Partnership Fund (CEPF) designated Namuli a Level 1 Priority Key Biodiversity Area, proclaiming it “significant, threatened and understudied”—a clarion call for conservationists. Like Mt. Namuli, neighbouring Mt. 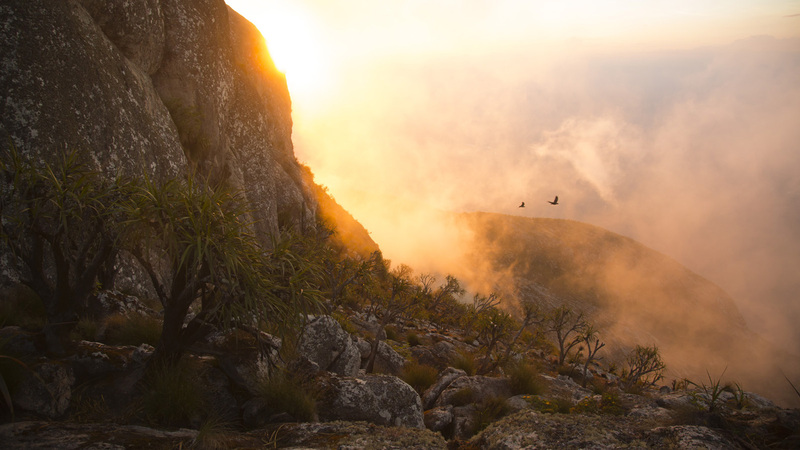 Mulanje is part of the Eastern Afromontane, an archipelago of peaks considered biodiversity hotspots. ROBERT FROST PHOTO. Namuli has been overlooked largely because it was effectively lost to the greater scientific and conservation community while civil wars convulsed the southeast African country from the 1970s–1990s. Today, the Zambezia province in which Namuli stands is peaceful, but the mountain and surroundings lack official conservation status. Last year, an international team of climbers, scientists and conservationists set out to re-discover this mountain. Their ongoing mission aims to document and bring international attention to rare and threatened species, and to propose a multifaceted long-term sustainability plan for the region and to document the connections to another inselberg, neighbouring Malawi’s Mount Mulanje. 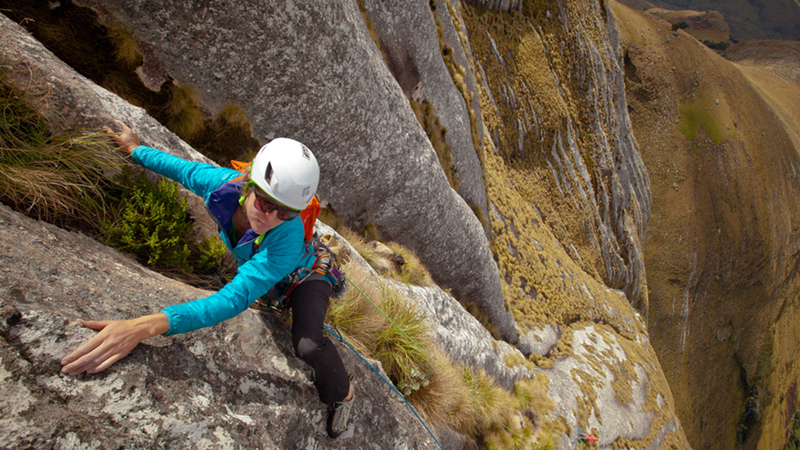 Initially known as The Lost Mountain Project – recently rebranded Legado, from the Portuguese “legacy” – the mission is the brainchild of New Hampshire-based climber, guide, author, and filmmaker Majka Burhardt. 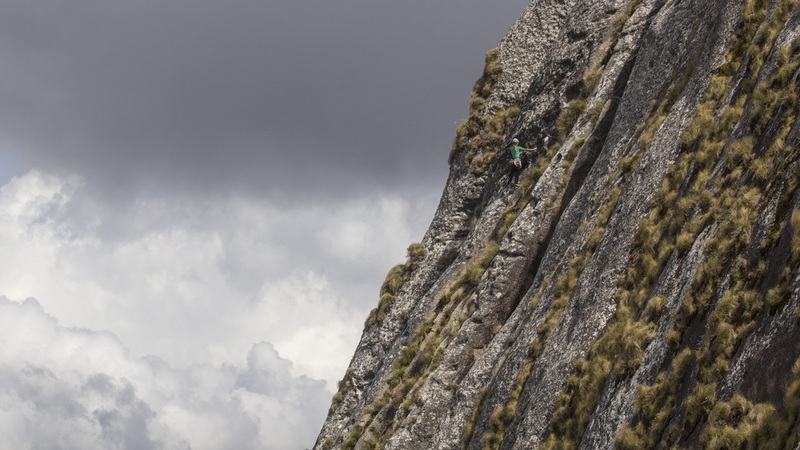 Having climbed and guided all over the world, Burhardt would not find Namuli her most technically challenging ascent. But it would deliver its own more daunting problems. Seedlings in a tree nursery on Mt. Mulanje, Malawi. ROBERT FROST PHOTO. Namuli taking its daily cloud bath. JAMES Q MARTIN PHOTO. The United Nations Development Programme (UNDP) considers Mozambique one of the poorest countries in the world. The majority of citizens survive on subsistence agriculture, especially around Namuli where soils are good and water plentiful. As a result, the mountain’s lower flanks now show alarming wear-and-tear from unregulated timber harvesting, livestock grazing, char lines of slash-and-burn agriculture, and willy-nilly expansion of tea plantations. In May 2014 a 17-person team led by Burhardt and sponsored by the CEPF, Clif Bar, Julbo, Osprey, Patagonia, Petzl and other companies and NGOs, mounted an expedition to study the cliffside habitats of Namuli’s far side—the unexplored southeast face. As lead climber, Burhardt had no trifling responsibility guiding non-climbing scientists and a film crew up an unclimbed and remote monolith. “The challenge was not only to get people up, but to make sure they were safe and could do their work,” says Burhardt. “Instead of just having [the scientists] get through and survive, we wanted them to thrive in their own element on vertical terrain.” And thrive they did. The expedition checked off some notable discoveries, especially for today’s picked-over planet: a new and as-yet-unidentified species of snake; a rare caecilian; and 40 ant genera including several unidentified species. In the process they also put up the first technical climbing route on the mountain (Majka and Kate’s Science Project IV 5.10-). 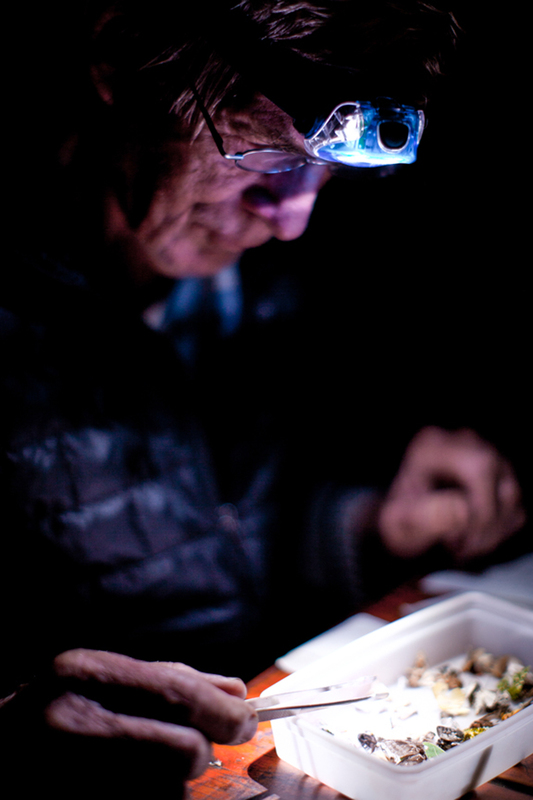 Ray Murphy after a day of specimen collection on Mt. Mulanje. ROBERT FROST PHOTO. Check out a short film on Ray here. 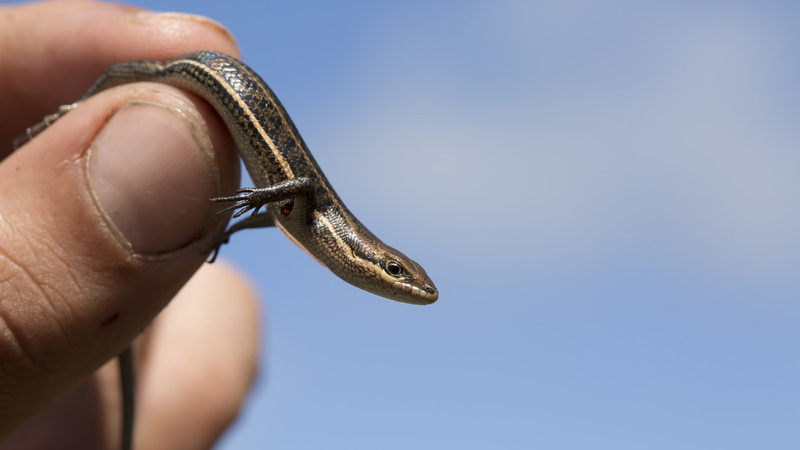 The cool weather that day wasn’t right for reptiles or amphibians so the chimney proved herp-free, but over the course of the expedition Farooq collected 27 rare or unknown species. One such find turned up not on Namuli’s face, but at base camp in the rainforest. During a rest day, Rutherford and volunteer Richard Halsey were moving things around in the cook tent when they turned up what appeared to be a large, pinkish worm beneath a big piece of Tupperware. It was a caecilian, a seldom-seen order of ancient, burrowing amphibian with a global but largely equatorial distribution. After they summoned Farooq, the herpetologist was close to tears as he explained it was only the second caecilian ever found in Mozambique—and the southernmost from anywhere in the world. Trachylepis varia (variable skink) found on Namuli. JAMES Q MARTIN PHOTO. 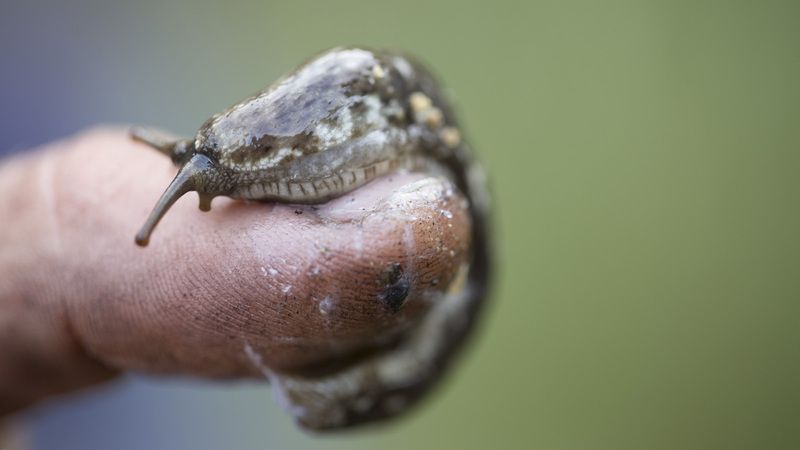 An as-yet-unidentified slug found on Namuli. JAMES Q MARTIN PHOTO. This untouched habitat proved especially fruitful for the expedition’s lead scientist, Brazilian entomologist Dr. Flávia Esteves, who, along with South African entomologist Caswell Munyai, is the first ant scientist to do fieldwork on Namuli. “We spent many hours looking for ants, breaking twigs [for larvae] and digging the soil,” says Esteves. “It was an interesting place because of its high elevation and isolation. It had the structural complexity of a forest—canopy, bushes, leaf litter, soil—that could house and feed a high number of animals. But at the same time, the trees weren’t so high, so the undergrowth received much more light than other forest fragments. As a result, the ant fauna we collected was a mix of that found in ‘regular’ forests, grasslands, and on the face of Namuli.” During the month-long expedition Esteves also collected Promyopias, a rare ant genus found but a handful of times before, plus many other endemic and unstudied species. Flavia Esteves and Caswell Munyai in Mt. Namuli’s “pocket forest”. JAMES Q MARTIN PHOTO. Amietia quecketti (Queckett’s river frog), found on Namuli. JAMES Q MARTIN PHOTO. Though Namuli’s vertiginous levels of biodiversity needed no proving, the expedition reinforced for biologists around the world that this lush inselberg is an untapped goldmine in the sky. After making observations over the entire southeast face of Namuli as well as on Mulanje, the number of rare and unidentified species uncovered by expedition scientists emphasizes how much more work remains to be done. 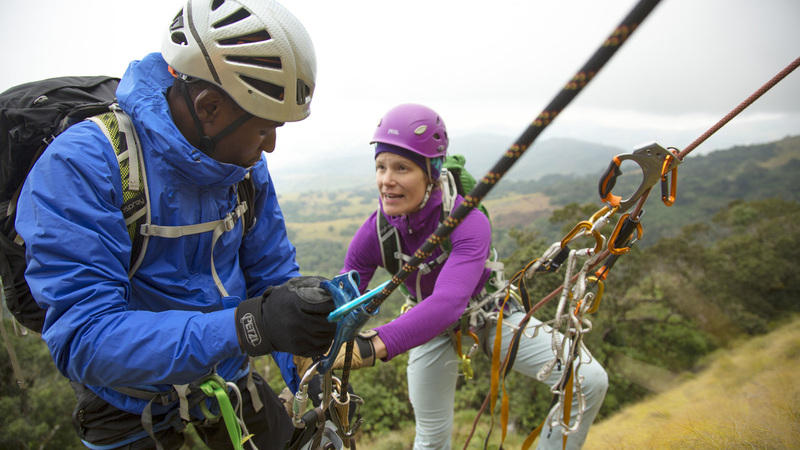 Expedition leader Majka Burhardt shows Caswell Munyai the ins and outs of cliffside ecology access. JAMES Q MARTIN PHOTO. Kate Rutherford leads into one of the crux pitches of Majka and Kate’s Science Project, Mt. Namuli, Mozambique. JAMES Q MARTIN PHOTO. The ongoing Namuli Conservation Plan will serve as a template for sustainability in the region and establish practices—such as reforestation from locally raised tree seedlings—that can be transferred to other vulnerable and exceptionally biodiverse locales. 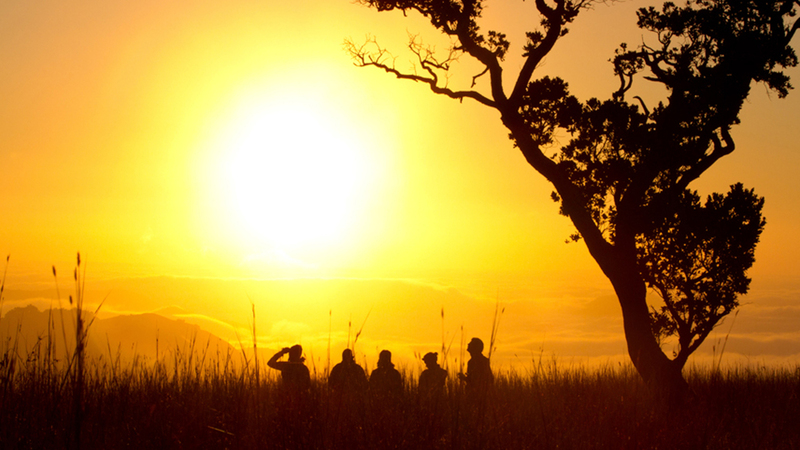 And for a sign of promising things to come, look no further than the international youth-oriented conservation, science, and adventure Symposium that brought present and future Namuli players together in Mozambique’s Gorongosa National Park last summer. Through the focused ambitions of Burhardt and partners, Legado promises to be an inclusive, portable paragon for land and habitat protection in Earth’s threatened places. “Some days I think we can pull it off and some days I think this is the craziest thing I’ve ever set out to do,” Burhardt concludes. 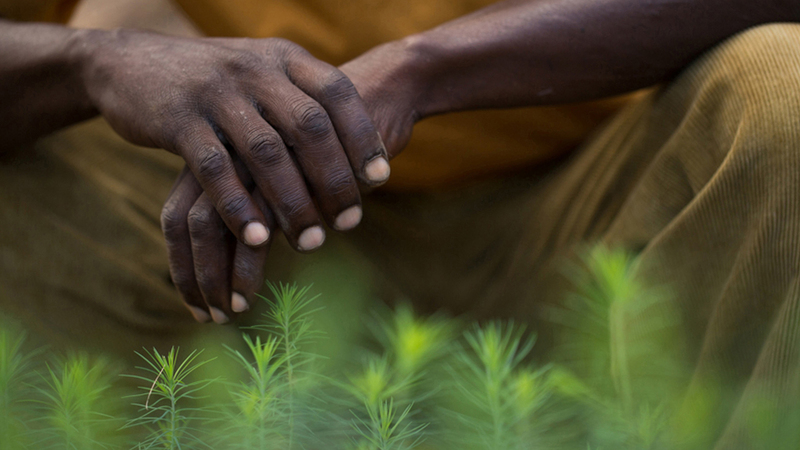 Though Namuli is no longer a lost mountain, preserving its riches remains the task at hand. Namuli the film will be released in early 2016. Read more from the Mountain Life Annual. Golden hour over the Eastern Afromontane. ROBERT FROST PHOTO.